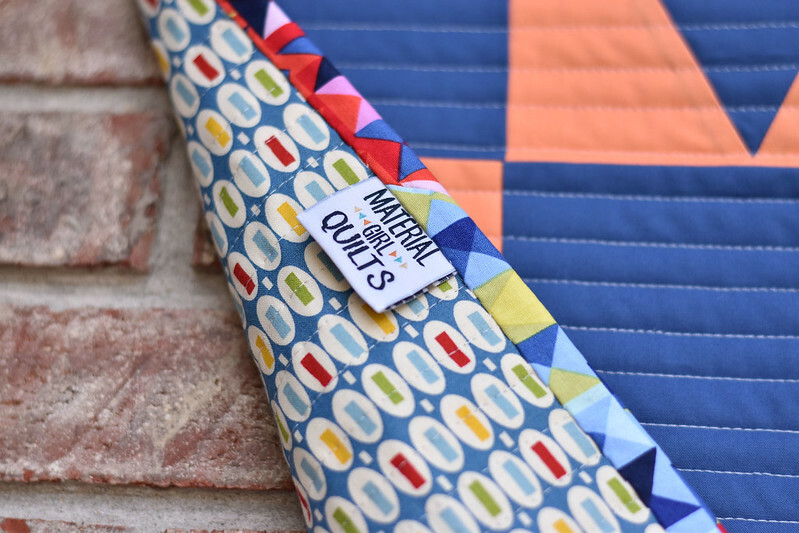 I'm back from quilt market and want to thank you all for the love and support on my first fabric collection!! It was an wonderful and exhausting weekend. I'm blessed to be a part of this community and was thrilled to share my work with others. 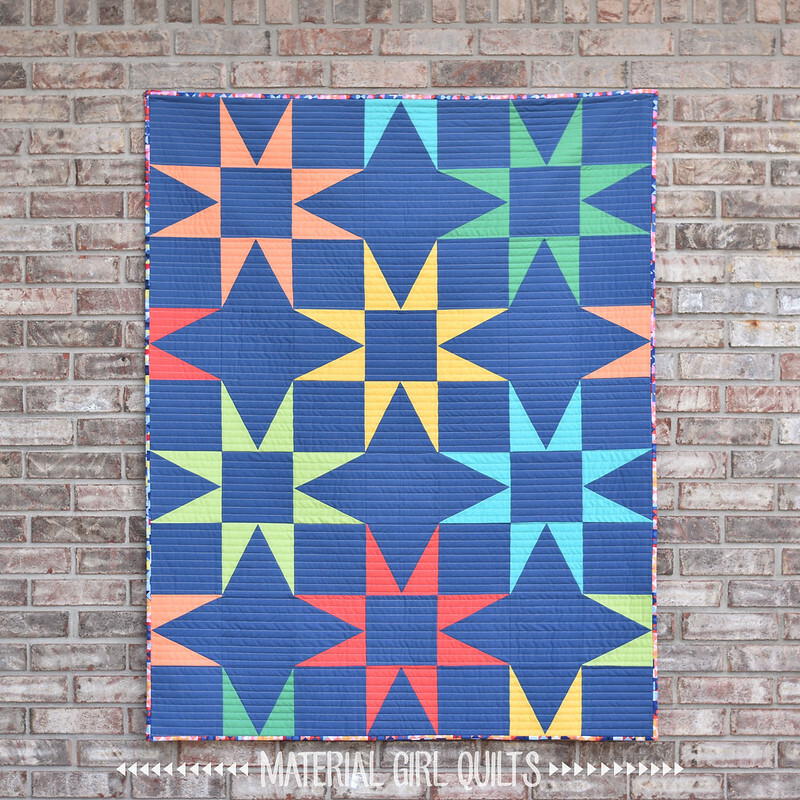 Now that I'm (a little bit) rested up, I thought I'd share the crib sized version of my new pattern, Seeing Stars, with you. I made this while testing out the pattern instructions from some solid fabrics I had in my stash and scrap bins. I think the blue background is so pretty. This color palette would be great for either a boy or girl, don't you think? 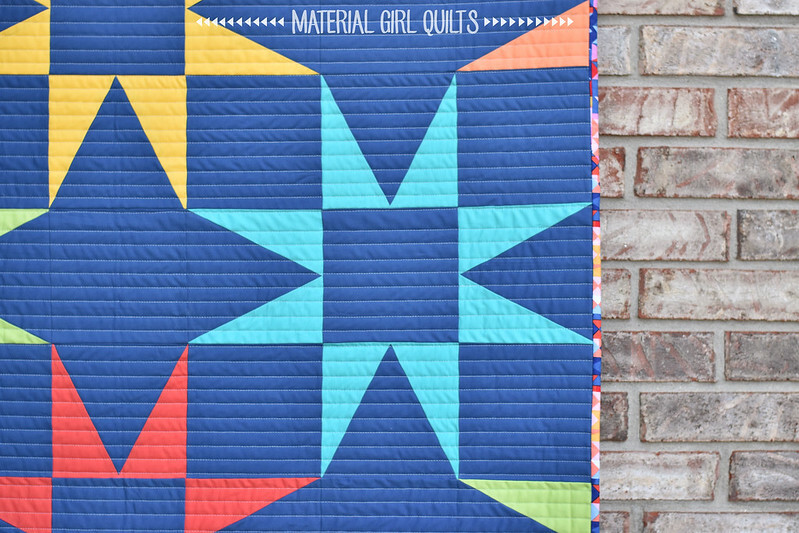 For the quilting, I did my go to straight lines. 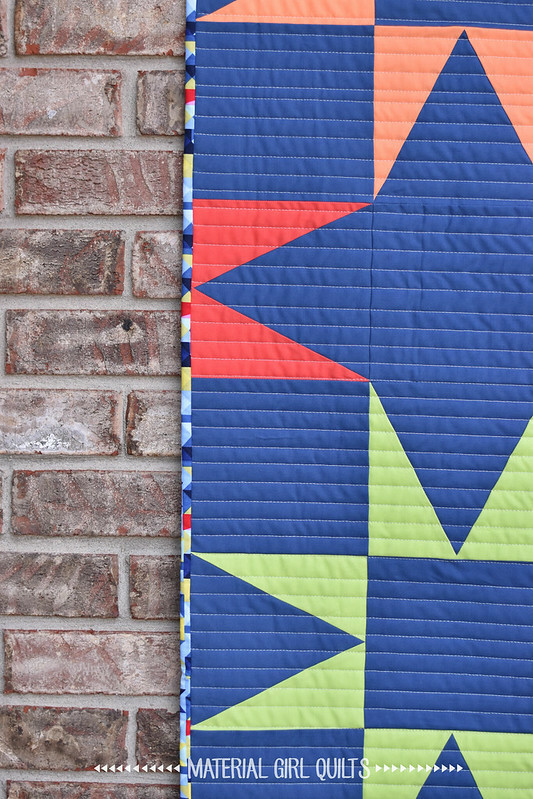 I think it is the perfect compliment to the quilt design. One of my favorite things about this version is the binding. I LOVE the fabric I found in my stash to use. 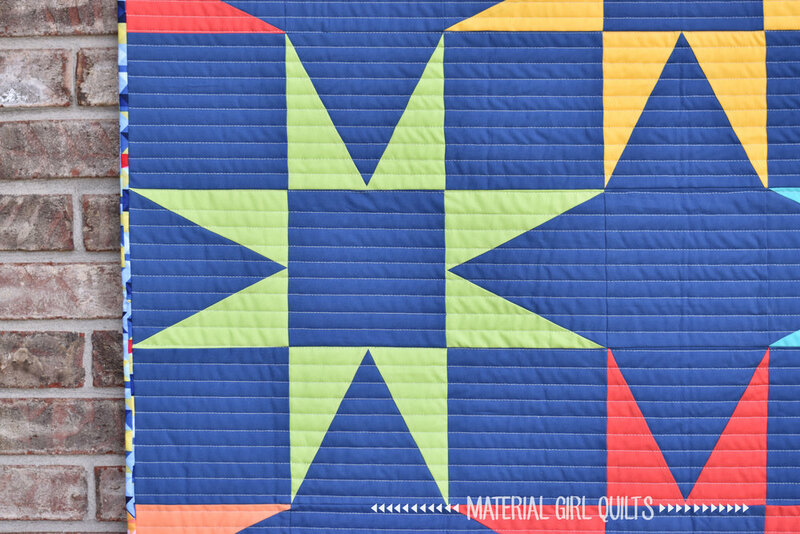 It includes all of the colors from the quilt top and is a fun little "pop" around the edges. This pezzy print on the back goes right along with the cheery color theme. Now I might have to make a queen sized version of this for my son's bed. 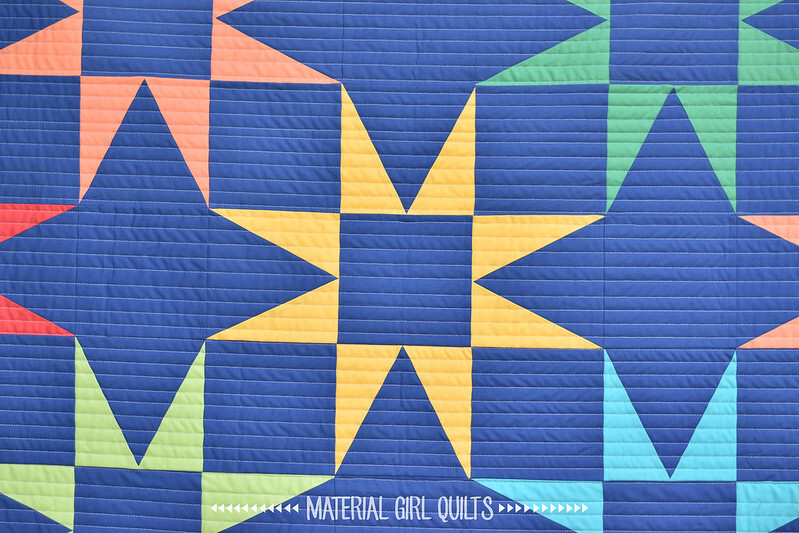 What colors do you think would look good in this quilt pattern?